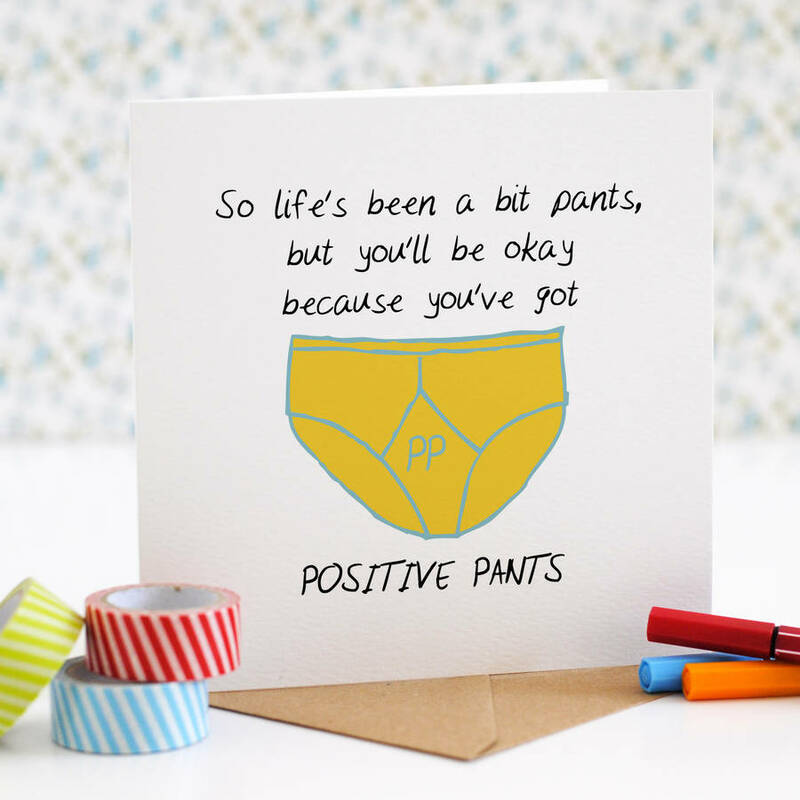 Let a friend know you're thinking of them and give them reason to smile with this cheery positive pants card. 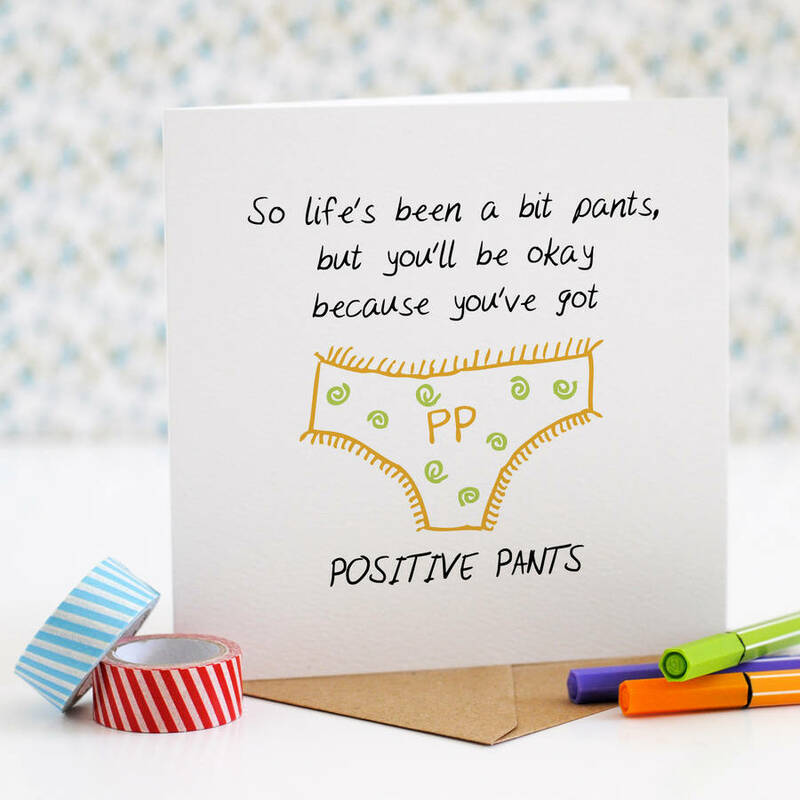 This uplifting card features a hand drawn illustration of positive pants, choose from pants or y-fronts. The illustration can be personalised with a name if you choose. 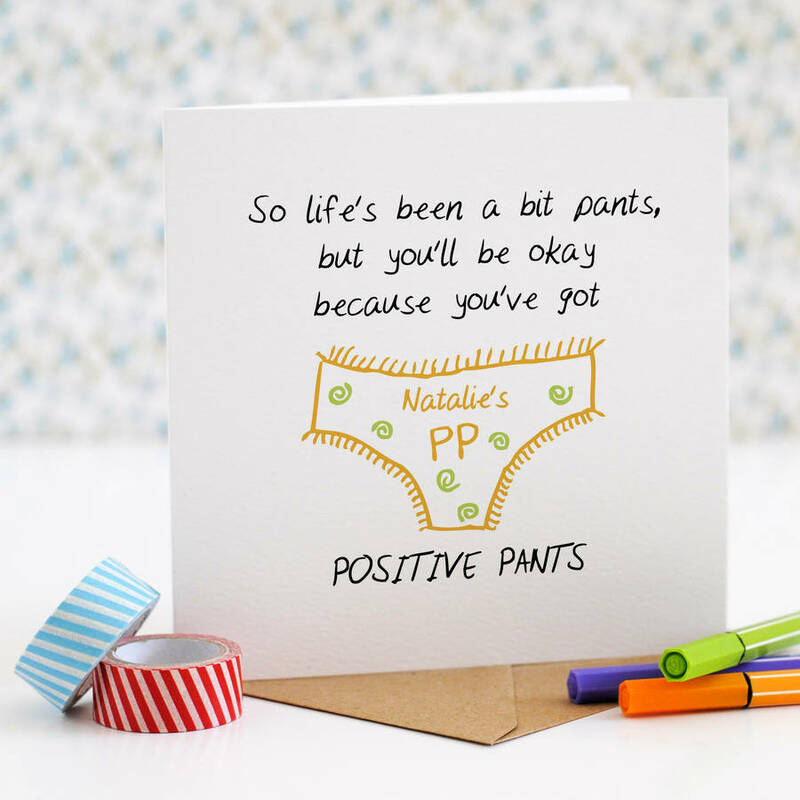 If you want to express sympathy, or just let someone know that they're in your thoughts, this is a great card to send them with a smile. Sometimes you just want to know that someone cares and is thinking of you. If you're in a hurry, your card can be sent direct to the recipient. It will have your message, as written in the box on the right, printed in a black handwriting font inside the card. Enter the recipient's address at checkout so it can be sent straight to them. This positive pants thinking of you card is part of a wider Positive Pants range including stickers and badges. 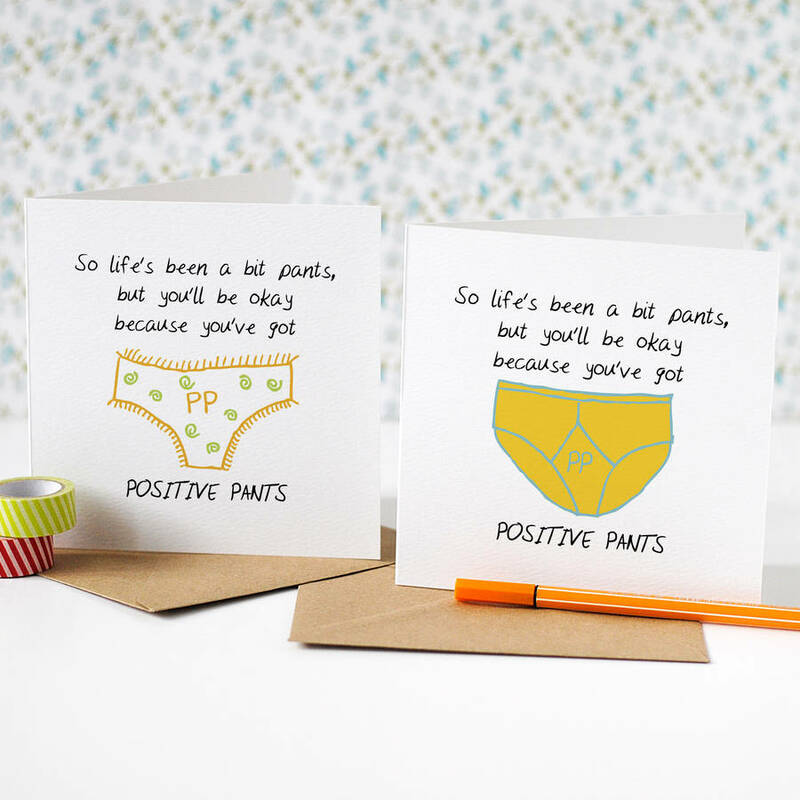 10p from the sale of every card, and each item in the Positive Pants range, is donated to MIND, the mental health charity. Your card will be protectively packaged in a compostable clear bag and posted in a hard back envelope to ensure it arrives in perfect condition. The 300gsm, 100% recycled, white, square card is blank inside for your message, and comes with a brown, 100% recycled paper envelope. The card measures approx 14cm x 14cm. This product is dispatched to you by the green gables.